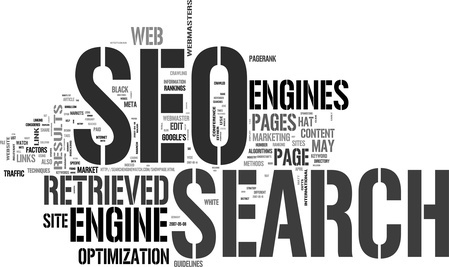 What is Actually Search Engine Optimization? Search engine optimization (SEO) is the process of getting the content or articles on your web site noticed by major search engines, like Google. You want these search engines to notice your work as the higher they rank you in search results for your targeted keyword, the more targeted traffic from the “free,” “organic,” “editorial” or “natural” listings on search engines you will receive to your site. Search engines are getting smarter at detecting sites that are spamming keywords or made solely for the purpose of advertising. Organic SEO is a safe form of search engine optimization that will pay off in the long run due to the fact that it requires no tricks or spamming that can get your web site banned or sandboxed. Building organic SEO may requires more hard work, but you will surely receive great rewards in the long run. The very basic idea behind search engine optimization is to choose a targeted keyword or niche and building a site or article around that particular keyword. So many people always debate over keyword density (how often and spaced the keyword should be placed throughout the content), but in a general rule of thumb is aiming for your keyword to appear once after every 100 words or so on. Organic SEO uses valid and safe techniques to rank your site for its keyword. This means you do not have to fear your site being banned or sandboxed (de-indexed or pushed far down into search results). Many people have discovered the hard way that tricking people into going to their web site generally results in a high bounce rate. Put yourself in their shoes and suppose if you are searching for “dogs feed” and you come across a site that has nothing to do with dogs or feed, you are going to go back to your search and check other sources. If, however, you come to a site that has well-researched information, you are more likely to check out more pages or click on recommended products or advertisements. Providing high quality content that meets the needs of the targeted market will increase your page rank (popularity), page views and ultimately your click-throughs rate or marketing sales. There are many SEO tutorials out there, but many are not up to date or use black hat SEO. Black hat SEO employs dirty tricks to receive traffic. An easy example of black hat SEO would be a content-spinning software, which takes an article and spins it into unique and fresh but often unintelligible content. This could get the site listed for the keyword, but has absolutely no benefit to the person viewing the web site. There are many free or paid guides and courses on targeted internet marketing available. Keep in mind that SEO techniques are constantly improving and changing always so you need to find a SEO tutorial that is not outdated. Trial and error is a major part of learning what works for your site. What works for some may not work for you as your site and content should be unique. Interact with other internet marketers through forums and chat programs. Read as many guides and books as possible. You may consider taking an online course from a reputable trainer if you are still struggling. If you like the article and want to share your views too than please use the comment area as we are eager to hear you. I see your point, however SEO isn’t only about on-site optimization. A lot of time and effort has to be put into getting quality and relevant sites to link to you. Such a nice and useful article. I always recommend to use On Page SEO for generating traffic from Google, Yahoo etc. Amazing! This is a really great article!